It wasn’t very many years ago when the only way a person could play real money casino games was to drive to a land based casino. That concept changed in the 1990’s when internet casino sites started popping up. These sites gave players the ability to play real money casino games from the comfort of their own homes. This was still a bit of restriction compared to the ability to play games now. The introduction of smart phones was not only an asset for people doing business on the go, but this was also a great asset for avid casino players. Online casinos quickly started developing software that was compatible with smart phones. We now have the capability to play real money casino games anytime, anywhere. All you need is a smart phone and a stable data connection and you are set. Many players have had their doubts when it comes to playing real money casino games on their phones. One of the biggest concerns that a lot of players seem to have is the ability to see the action that is unfolding. Players are concerned that the phone screen will be too small to navigate the betting options especially for games like Roulette and Craps. I have played games at mobile casinos for many years. The software developers took all of the concerns into consideration when developing the software. The betting options are vividly displayed. The games are designed to be easily navigated. We are sure that you will enjoy your gaming experience on your mobile phone. Can I Play All Casino Games on My Phone? Most online casino have more than 100 games available. These games include a wide selection of slot games, Blackjack, Roulette, Craps, Pai Gow, Baccarat, video poker, and many more of your favorite games. Mobile players will have a selection of all of these games, but it will be a smaller selection than will be found on the online version. Software developers are working around the clock to get all of the games converted to mobile friendly games. More and more games are added daily, but as I said earlier, you will find a wide selection already available. Can I Play Mobile Casino Games in the US? Yes is the simple answer. Some online casinos have pulled out of the US market, but there are still a lot of options when it comes to playing real money casino games on your mobile device in the US. Almost all sites are heading in the mobile direction because it is so much more convenient for the user. Users have the option to sign into their account via their mobile device or their PC. Almost all mobile casinos have software compatible with Apple, Android, Windows, and Blackberry devices. The compatibility varies by the mobile casino, but the developers are well aware that these are the most popular devices so they are quick to develop software for these brands. Most online casinos offer an instant play version of their games that can be played instantly in the browser. These games can also be played instantly in the browser of your mobile device without any downloads of bulky software. You will have many options available when it comes to playing mobile casino games. 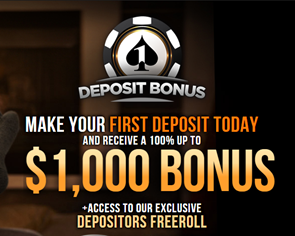 Sign up today at one of our trusted sites to cash in on the exclusive bonuses and promotions that we have in store for you!